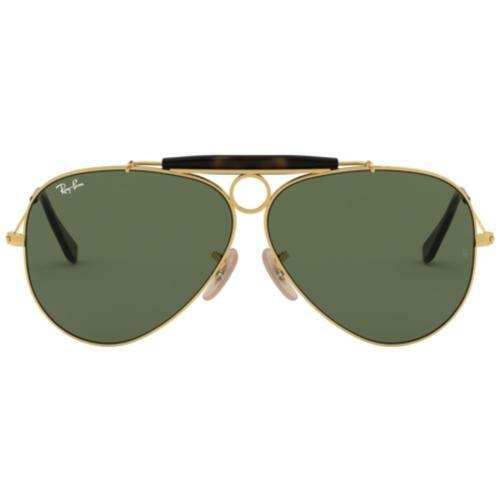 A new sunglasses style from Ray-Ban. 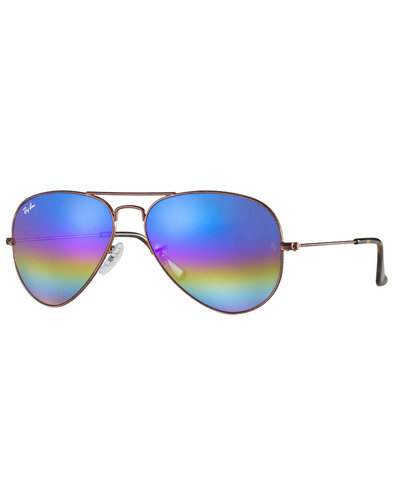 Featuring a double bridge, this curved lens Aviator style is both cool and easy to wear. 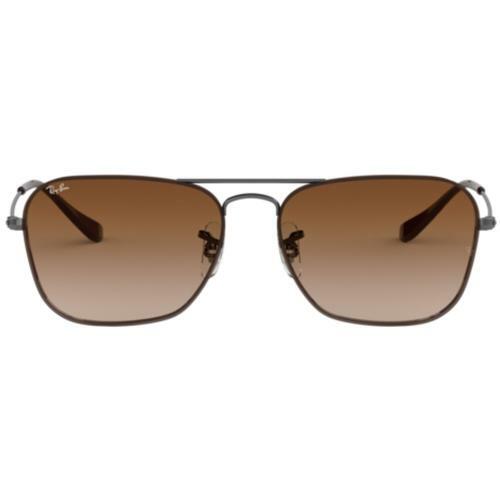 The rubberised bottom curve offers an injection of flexibility, and its squared-off rectangular design is the perfect fit for a thin double bridge and steel frames. 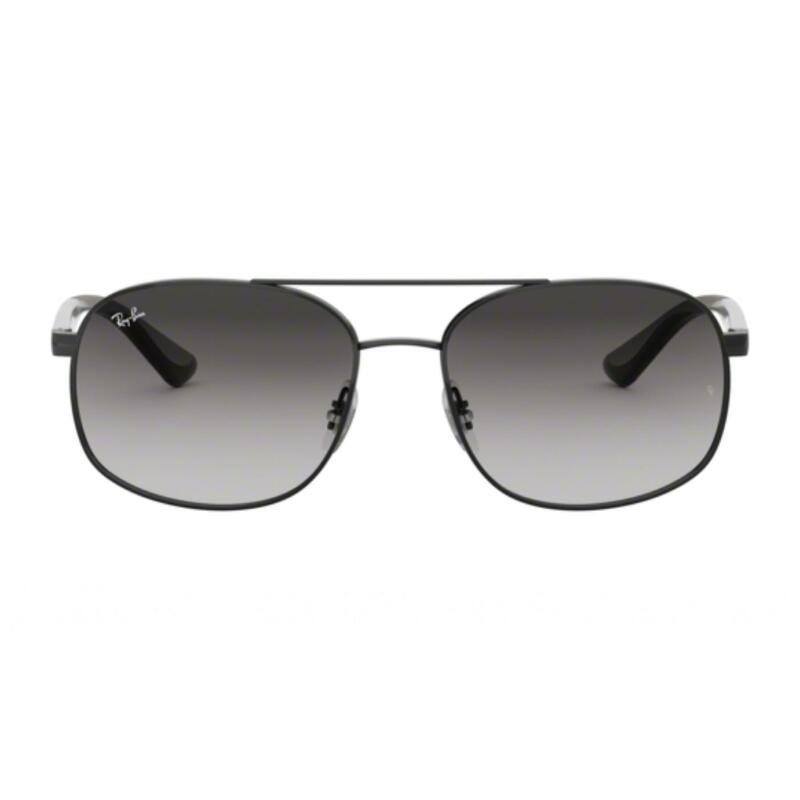 Perfect in black frame with a grey gradient lens. Premium quality, made in Italy. 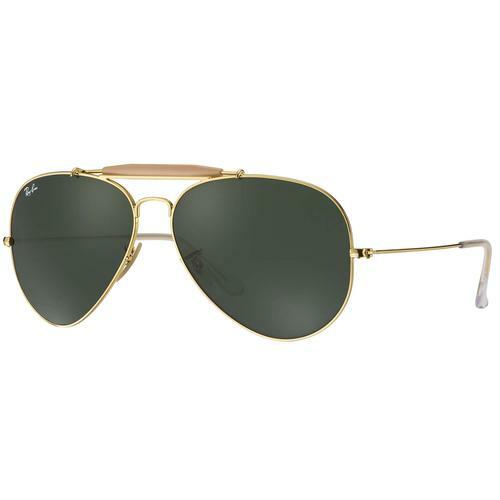 -RAY-BAN Retro 70s Double Bridge Aviator Sunglasses in Black. Composition: Steel Frame With Grey gradient lens.